This is a sponsored post by Dawn. Dawn dish soap isn’t just for washing dishes, outdoor furniture, and countertops, Dawn also helps save wildlife. Known for being tough on grease, but gentle on skin, Dawn Dish Soap is used to help clean wildlife that are covered in oil from oil spills. 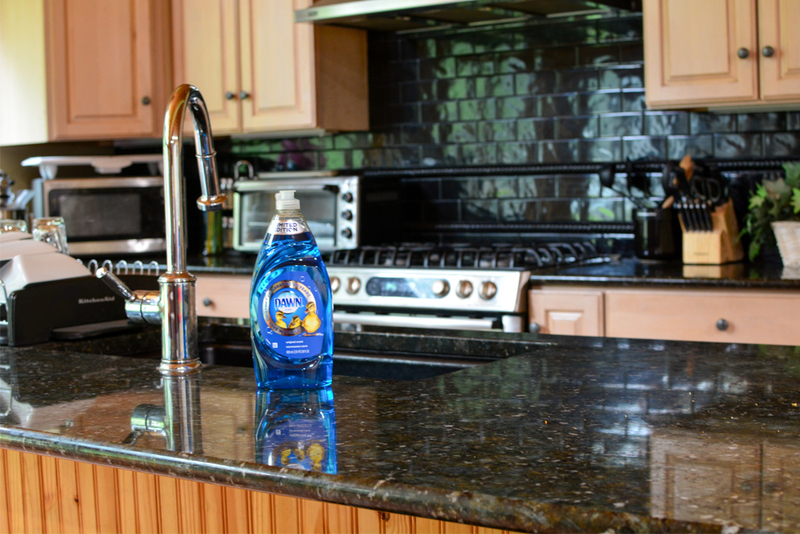 Dawn dish soap has been a staple on our counter for the past 10 + years. It was the #1 brand that my parents would reach for and the brand I stock up on for our household essentials at our local warehouse club. Until recently I didn’t realize that this dish soap that I rely on to clean grease from my pans and stove, also helps to save wildlife. This month Dawn is celebrating 40 years of helping save wildlife and giving them a second chance. Since 1978, Dawn has helped save more than 75,000 birds and marine animals who were affected by oil spills and natural catastrophes. For the past 40 years Dawn has been supporting organizations that are dedicated to rescuing and rehabilitating wildlife including International Bird Rescue and The Marine Mammal Center. 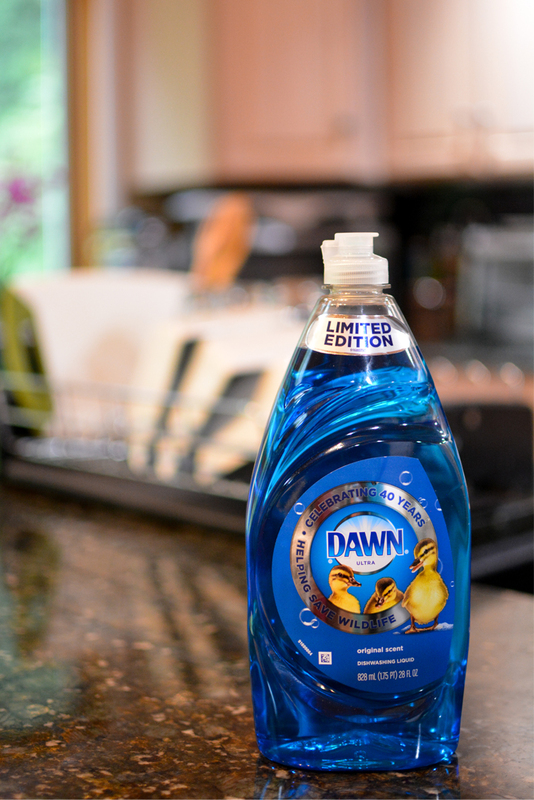 Independent studies have proven Dawn to be the most effective dishwashing detergent for cleaning oiled animals. Rescuers rely on the “tough on grease, but gentle on skin” (and feathers) formula to clean and save the wildlife affected by the oil spills. Dawn is celebrating 40 Years of helping save wildlife with a 40th Anniversary Bottle. 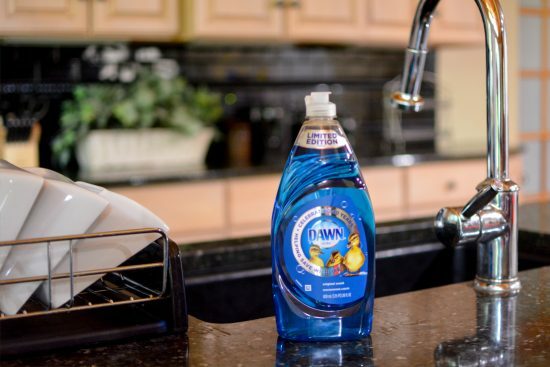 You can find the 40th anniversary bottle of Dawn dish soap at your local retailers including Target, wholesale clubs & Walmart. Save on your purchase using this Dawn coupon. Make sure to snap a photo of your receipt and enter your family for a chance to go on an unforgettable VIP Wildlife Experience! Do you want to take your family on a VIP Wildlife Experience? Dawn wants to show you the fabulous things their wildlife partners do. For their 40th anniversary of helping save wildlife, Dawn is hosting the Golden Duck Contest where 10 winning families will be flown to Dawn’s wildlife partner for a behind-the-scenes look at what they do to help the wildlife. Enter to win this VIP Wildlife Experience now through ​11:59:59pm ET on October 6, 2018. Complete the registration form and you’ll be entered to win an exciting wildlife experience. previous post	Zulily Thrill Week is Here!